After successfully completing rough/finish carpentry for Phase I, GBI was honored to be invited back to participate in Phase II. 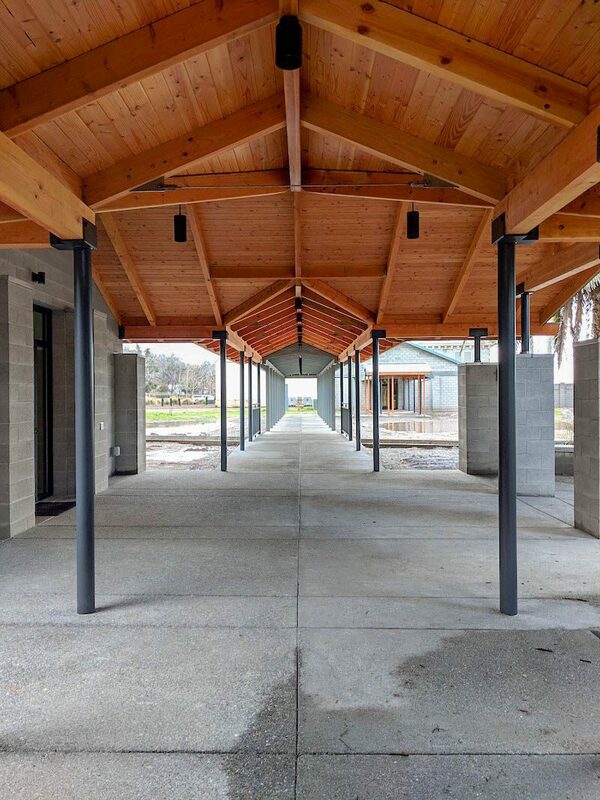 Scope of work included plan/engineering coordination, concrete foundation, layout, modify existing structures to accommodate a new exposed timber frames walkway and outdoor covered gathering area for the Chapter Room. This work also created an essential link between the Historic Church Visitors center and the Clergy’s cloisters areas, while making allowances for future development.